I am a habitual nap-taker. I take one almost every day and have for years. I used to feel a little guilty about it—like I was slacking off or something. Then Sam Moore, my predecessor at Thomas Nelson, admitted to me he too was a napper. Physicist Albert Einstein napped each day—on top of getting ten hours of sleep each night. Winston Churchill’s afternoon nap was a nonnegotiable. He believed it helped him get twice as much done each day. 1. A nap restores alertness. You know how your energy dips in the early afternoon? You start feeling a little sleepy and lose focus. It happens to most of us. A quick nap can bring us back up to speed. Here’s a brief video that explains the science behind short naps. You can even maximize this benefit by drinking coffee directly before putting your head down. 2. A nap prevents burnout. In our always-on culture, we go, go, go. However, we were not meant to race without rest. Doing so leads to stress, frustration, and burnout. Taking a nap is like a system reboot. It relieves stress and gives you a fresh start. Research subjects who nap show greater emotional resilience, improved cognitive function, and more. Just thirty minutes can prevent the day’s wear and tear from frying your circuits. 3. A nap heightens sensory perception. According to Dr. Sara C. Mednick, author of Take a Nap, Change Your Life, napping can restore the sensitivity of sight, hearing, and taste. Napping also improves your creativity by relaxing your mind and allowing new associations to form in it. When it came to making new connections, nappers had the edge in research done by the City University of New York. 4. A nap reduces the risk of heart disease. Did you know those who take a midday siesta at least three times a week are 37 percent less likely to die of heart disease? Working men are 64 percent less likely! It’s true, according to a 2007 study published in the Archives of Internal Medicine. “Taking a nap could turn out to be an important weapon in the fight against coronary mortality,” said Dimitrios Trichopoulos of the Harvard School of Public Health in Boston, who led the study. 5. A nap makes you more productive. The secret to becoming more productive is not managing your time; it’s managing your energy. Numerous studies have shown workers becoming increasingly unproductive as the day wears on. Just think of your own experience. 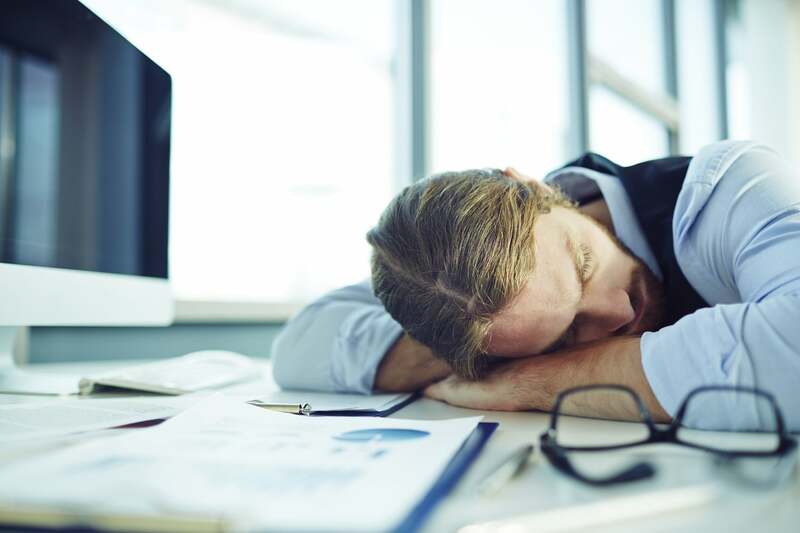 But a 2002 Harvard University study demonstrated a thirty-minute nap boosted the performance of workers, returning their productivity to beginning-of-the-day levels. I typically take a twenty-minute nap right after lunch. If I can’t do it then, I try to squeeze it in before 4:00 p.m. While working in a motor shop in college, I would eat lunch in my car and then lie down in the back seat. When I was CEO at Thomas Nelson, I napped in a zero gravity chair that reclined to a horizontal position. Since I now work from my home, I retreat to my bedroom and lie down in my bed. Be consistent. Try to nap at the same time every day. This helps stabilize your circadian rhythms and maximize the benefits. One easy way to do this? Schedule it. Keep it short. Avoid “sleep inertia,” that feeling of grogginess and disorientation that can come from awakening from a deep sleep. Long naps can also negatively impact nighttime sleep. I recommend twenty to thirty minutes tops. Set an alarm on your phone to avoid oversleeping.